Pollen mediated gene flow was studied in a Danish population of Malus sylvestris with the objective to support the Danish genetic conservation and management activities. A total of 50 mature trees (potential pollen donors) along with 180 seedlings (originating from 12 of the mature trees) were genotyped at 10 nuclear microsatellite loci. 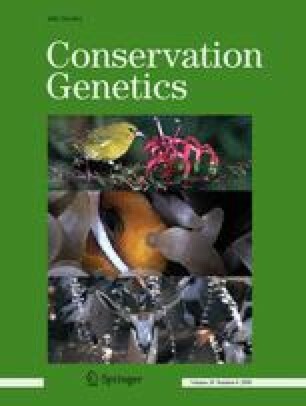 Paternity could be established for 46 seedlings, and a pollination distribution curve based on these observations was developed. Further, two indirect methods, Kindist and Twogener were applied for estimation of gene flow parameters. Pollinations were mostly between nearby trees with a median of observed pollination distances of approximately 23 m. However, a few long distance pollinations were observed and this increased the average pollination distance to approximately 60 m. The Kindist analysis of the data seemed to underestimate the average pollination distance as the fat-tailed distribution of the pollen dispersal distribution was not taken into account. Application of the results in a conservation and domestication context is discussed. Thanks to Krenkerup Gods for access to the forest, to G.B. Hartmanns Forskningsfond for vital financial support, to Ole Kim Hansen for valuable help in the planning phase, to Viggo Jensen for data collection, to Morten Alban Knudsen for cartographic work, and to the reviewers for valuable comments on the manuscript.